The end of the year is here already! It's time to post that pesky list of favorite books and authors. As you may have noticed, I split my posts and posted my favorite LGBT list separately. This list was originally one, but LGBT took a life of its own, as I had so many favorites in that area. After a while it became obvious that those books should have their own post and I think it worked out better this way. This year, I'm taking my favorites from 2010 releases only, making my task an easier one. Every year I read both new releases and back list books by new-to-me authors and/or books that have been accumulated in my "TBR" pile. This year was no different, as a matter of fact most of my reading came from my TBR -- I really cleaned up quite a bit! I'll list my favorites in that category (which abound) at the bottom of this post. I chose Magic Bleeds by Ilona Andrews as my top new release of the year back in June, and by end-of-year, that still holds! There was nothing about this book that disappointed me. I loved everything about this story! Kate, Curran, secondary characters, plot and even the romance. 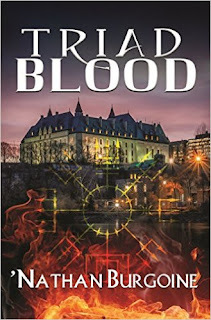 This is an urban fantasy series that just gets better as it goes along. I impatiently anticipate the books and know the next one will be just as good or better than the last. The next installment, Magic Slays, releases on May 31, 2011 and I can.not.wait. to read it! 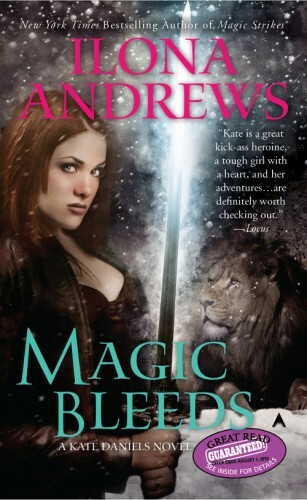 The Ilona Andrews writing team also wrote another book that I thoroughly enjoyed in 2010. Bayou Moon (2010 Ace) was the second book in their Edge fantasy romance series. Their next installment in this series has become another highly anticipated book for me in 2011, taking this prolific writing team to the top of my list for 2010. 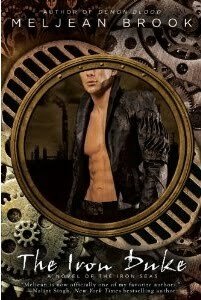 Last year I fell in love with Meljean Brook's writing, but then I didn't expect that I would be choosing one of her books as my top read in sci-fi/fantasy romance steam punk in 2010. The Iron Duke undoubtedly fits all those categories. This book has the excellent world building, sci-fi and steam punk details, romance and adventure that I love in this type of book, and there's no question that it's at the top of my list. And I can't mention The Iron Duke without mentioning Here There Be Monsters, the novella included in the Burning Up Anthology (2010 Berkley) that served as an introduction to The Iron Seas series. Talk about wetting the appetite! My only regret is that now I have to wait almost a year for the next book in this series, making the next installment one of my most anticipated books of 2011! However, that's not all when it comes to this author. She also writes one of my two top favorite paranormal romance series, The Guardian Series. I loved catching up to the last book and everyone knows I couldn't stop recommending it. Demon Forged, Book 5 (2009 Berkley) and her latest release, Demon Blood, Book 6 (2010 Berkley) were favorites, making Meljean Brook a "must read" author for me. Nalini Singh has been a favorite writer in this category for a long, long time. This is one of my long-time favorite paranormal romance series, and I'm happy to say that it still holds. This year, Ms. Singh released two books. I really enjoyed the first book, Bonds of Justice, Book 8. But then, I read Play of Passion, Book 9 and had no other choice but to give it a top spot on my list! I haven't written a review for this book yet, but I can tell you that I loved, loved the romance, both Indigo and Drew were excellent, strong characters and the book as a whole was tough to put down. I can't wait for Hawke and Sienna's book, Kiss of Snow which releases in June 2011! 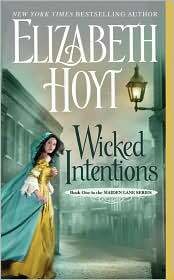 Wicked Intentions (Maiden Lanes, Book 1) by Elizabeth Hoyt was a passionate and dark piece that reminded me why it is that I love Ms. Hoyt's writing. I loved the setting and atmosphere, the assorted and intriguing secondary characters, the passionate romance and the plot from beginning to end. I can't wait to read Notorious Pleasures, the second installment in the Maiden Lane series, which releases in February 2011, and am hoping for more of that same slightly Gothic(ky) feel. If Wicked Intentions is the beginning of a series, Love in the Afternoon is an ending. If Wicked Intentions is stark and dark, then Love in the Afternoon is romantic and sweet. These two books are quite different, yet they both reached me in the historical romance category. Lisa Kleypas released two historical romance books this year, and they were both related to the Hathaway series. The first, Married by Morning (The Hathaways, Book 4), was Leo and Catherine Marks' story and boy did I enjoy that book. I loved Leo! But then the following month, came Love in the Afternoon, (The Hathaways Book 5). Beatrix was the one character that had intrigued me from the get go and as it turned out, her story was worth the wait for me. 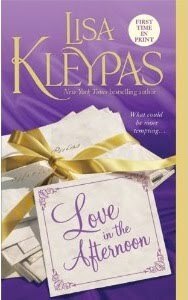 I loved the sweet romance (the letters), the characters and the way Kleypas ended this series. That does it for me. 2010 brought some excellent surprises and a few disappointments, but best of all there were good, solid books and time for reading and enjoying them. I hope yours was just as good as mine. Now, I'm looking forward to those 2011 reads! Oh, I only read two of your list!! Wicked Intentions and Love in the Afternoon. I still remember when Lisa Kleypas was sort of running a small poll to decide on Beatrix's name, back when she was finishing The Wallflower series! She was such a dear! I think I'm going to check out Magic Bleeds. AnimeGirl, I really enjoyed both Love in the Afternoon and Married by Morning... LitA edged out MbM by just a little bit, so I can definitely see why you chose it. :D I loved both books. RE: Magic Bleeds... if you enjoy UF? You'll really love this series. Kate Daniels happens to be my favorite one. :) Happy New Year to you! Leslie, yes.... as it turned out, I was a bit tough on new releases, lol! Not too many A's there. *g* But, I had definite favorites (squeeing worthy favorites). Oh, how I adored Wicked Intentions. So looking forward to the next one. Me too! I just loved it and can't wait for the next one. Very good list, Hils :P I agree with three of your choices - the Nalini Singh, Lisa Kleypas and Ilona Andrews, although not sure they would be my top, top :P I still need to read The Iron Duke, sigh. Hopefully, when I read it, it will be a case of: why didn't I read it sooner?!? Great list! I loved your first pick - Magic Bleeds - and have intentions to read the next four books! Thanks Nath. I wish you'd read The Iron Duke earlier too. But whenever you do read it, I hope you enjoy it as much as I did... definitely at the top of my list this year -- both the book and the author. And yay for Crusie, I can't wait to go through the rest of my books! LOL on the In Death book. I really enjoyed Vengeance... excellent book! LOVE your list, Hils. Especially since most... wait... ALL FIVE of those you list from 2010 are on my TBR pile!! Here's to great reading in 2011! Christine, you have so many good books in your TBR!!! Good reading ahead of you. Great list, Hils. I'm not sure I can narrow down a list of top faves. But I did enjoy the the Andrews, Singh and Kleypas very much. Here's to an even better year of reading in 2011! Tabitha it's not an easy thing to do! I had so many favorites from my backlist reading that I had to post a top ten list, lol! I went with the ones that had that "squee" factor and the ones that stay with me throughout the year. Cheers! To 2011 reading! !